Today is the day! Every March 20 is Macaron Day and today is the day where I get to reflect a bit about how I got here in this blogging and macaron journey. 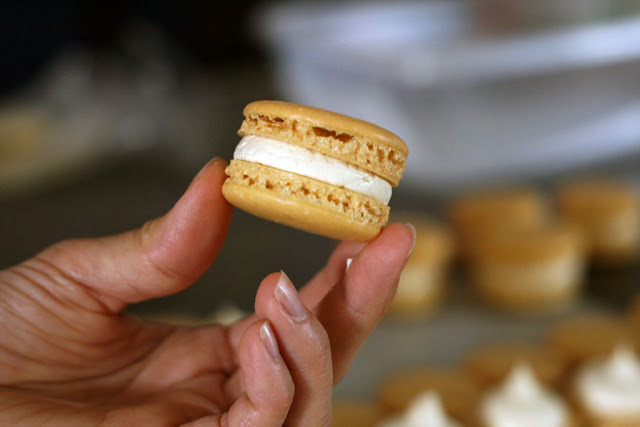 Last year for Macaron Day 2015 I reflected on "Why I Started Blogging". In other years I shared a macaron recipe such as my Passion Fruit Macaron Recipe and Chai Macaron Recipe. This year, I'm sharing with you some of the photos I took while testing out various intensities of a peanut buttercream recipe. 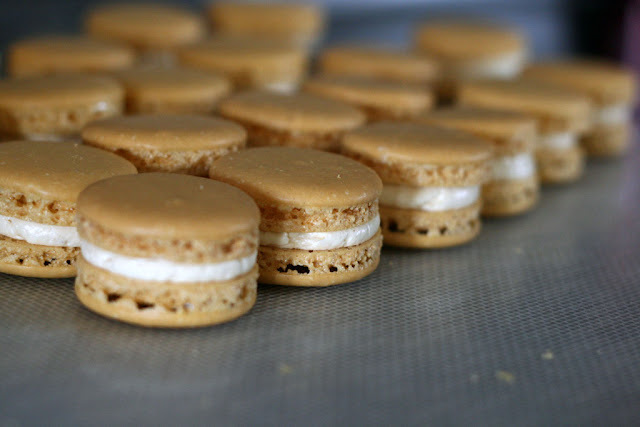 My friend loves peanut butter and dreamed of having peanut butter macarons for her bridal shower. 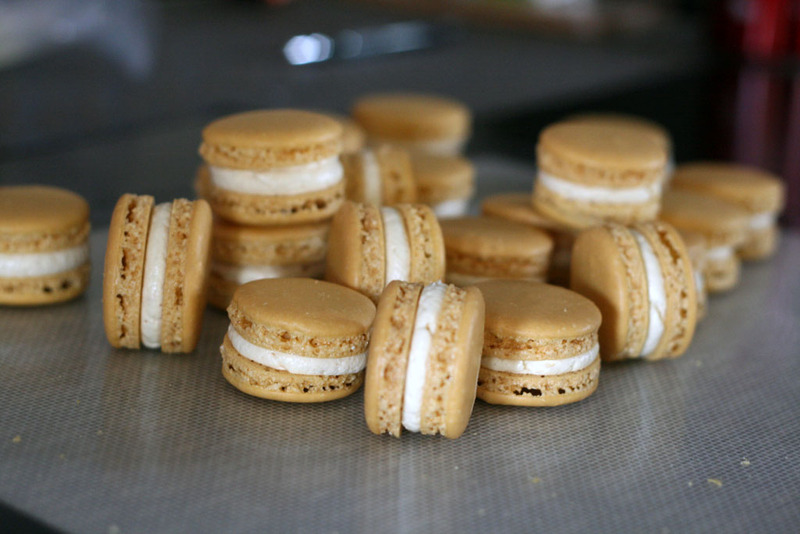 However, I have never made any peanut macarons before so I had to do a little testing. To start, make the macaron shells using the ingredient list and recipe from my Macaron 102 post or for more photos here. For the gel food colouring, I used a drop of Wilton brown and a drop of Wilton buttercup yellow. 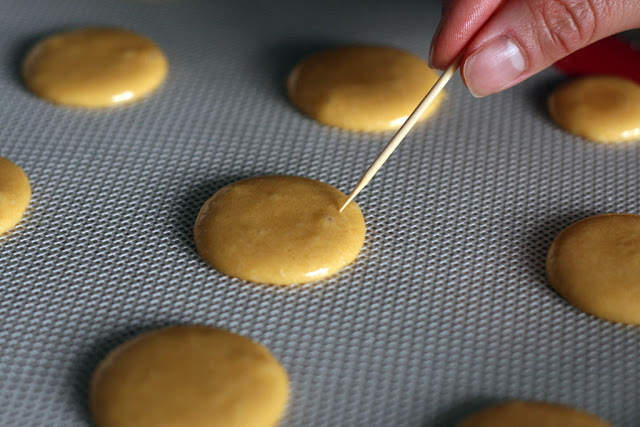 Remember that after you finish piping those macaron shells you need to tamp (holding onto the parchment paper/silicon mat and tray) firmly rap the tray on the counter. 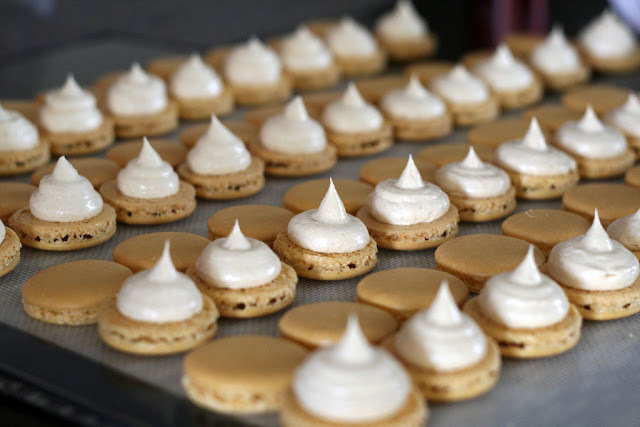 This will help spread the macaron shell evenly and pop any bubbles in the shell. 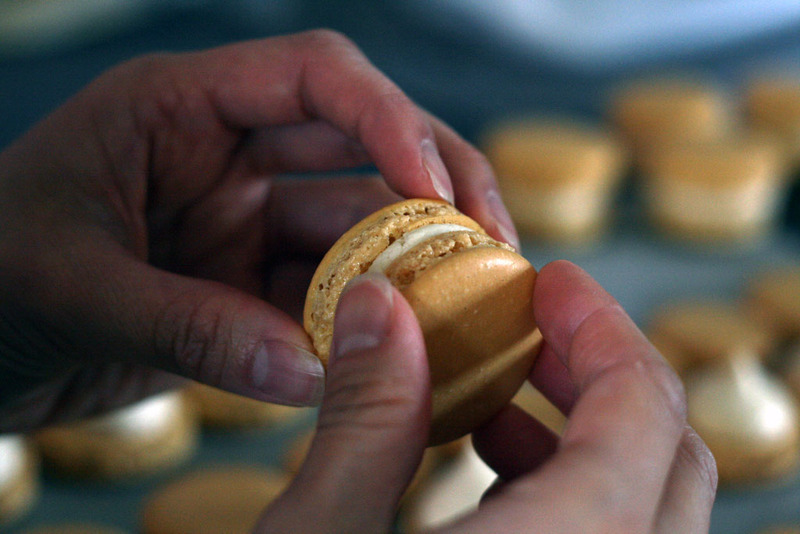 After tamping, use a toothpick to pop any obvious bubbles sitting on the surface of the macaron shells. 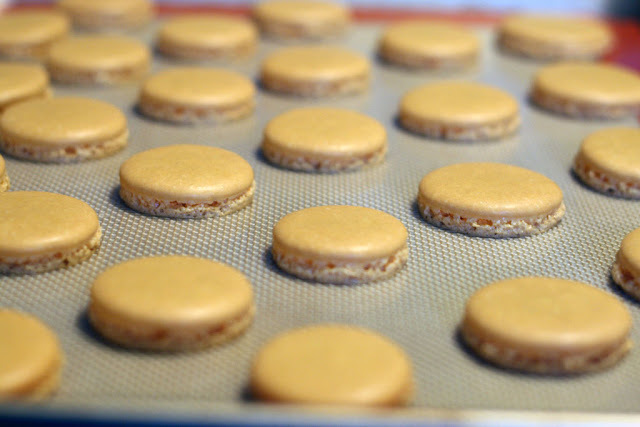 Once the macaron shells are all baked, allow them to cool completely before filling. 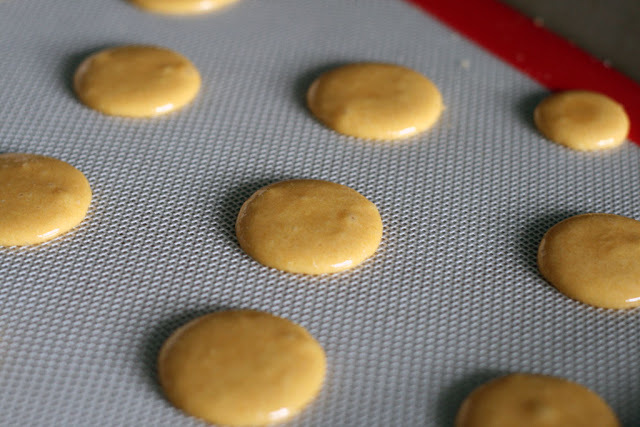 Currently, I am baking each of my macaron shells one tray at a time at 280F for 19 minutes. I have also found that using an oven thermometer in the oven has been super helpful! Often times, the temperature that your oven displays is not actually the temperature in the oven. 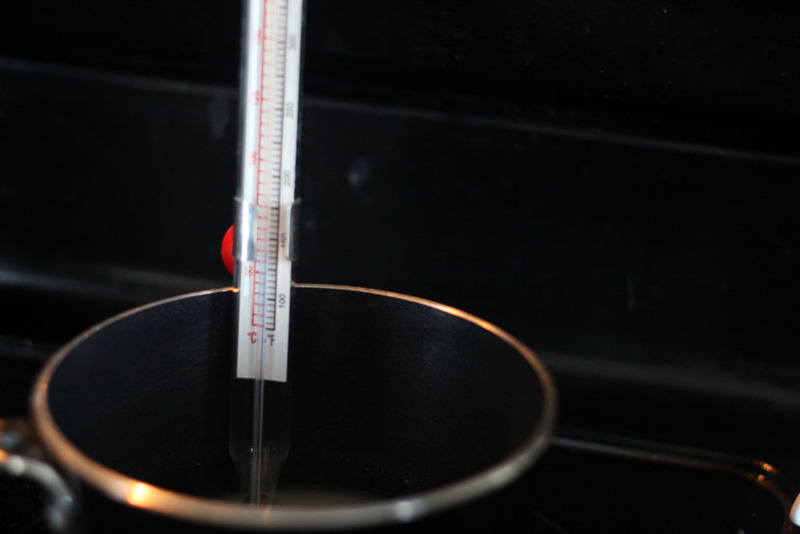 This is because the temperature sensor inside the oven is not always calibrated accurately meaning there's a difference between the temperature you want and the actual temperature. 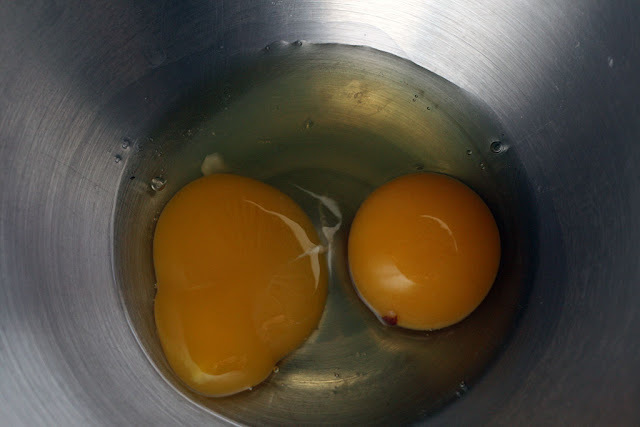 Once the hot sugar mixture reaches 250F, turn the whisking egg mixture down to 'stir', and immediately pour the hot sugar mixture into the whisking egg mixture. 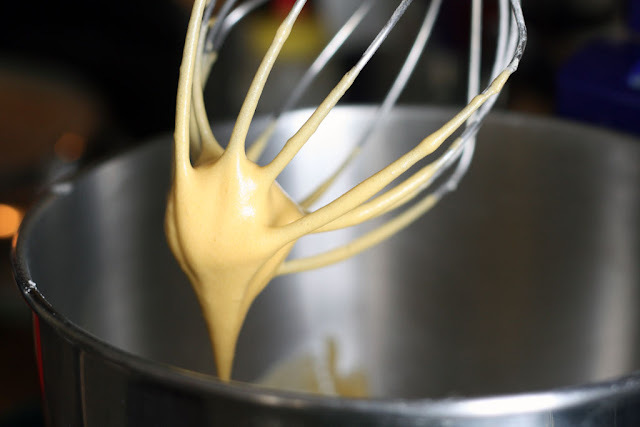 Increase the whisking speed to a higher whisking speed (8 on my Kitchenaid). 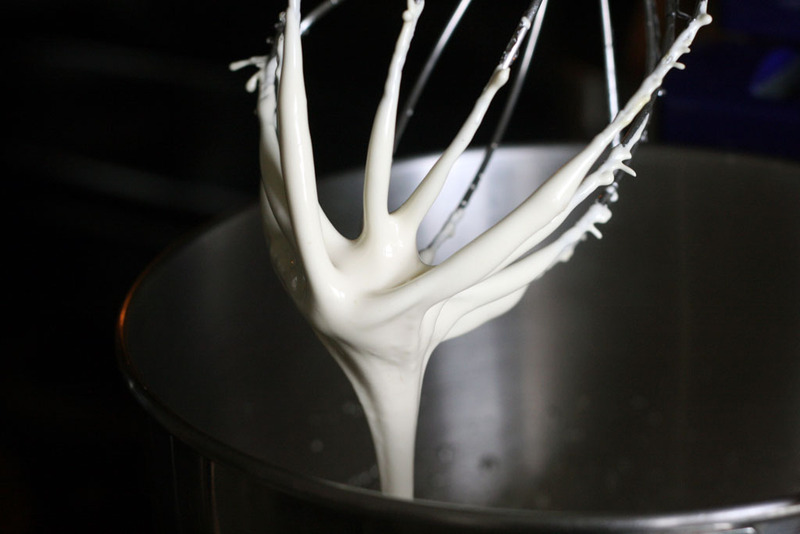 Continue whisking until the mixture has cooled down completely (approximately 10-15 minutes). It will start to look glossy and meringue like. Keep whisking the meringue until it has cooled. Meanwhile, cream then whisk the butter until it has thickened in a separate bowl. It will lighten a bit in colour. Once the meringue has cooled, slowly add in the whisked butter. Continue whisking until the buttercream is smooth. It may curdle slightly but this is okay. 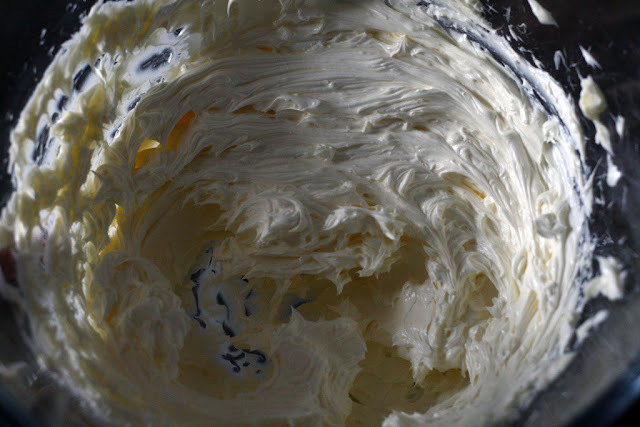 Keep whisking and the buttercream will come back together. 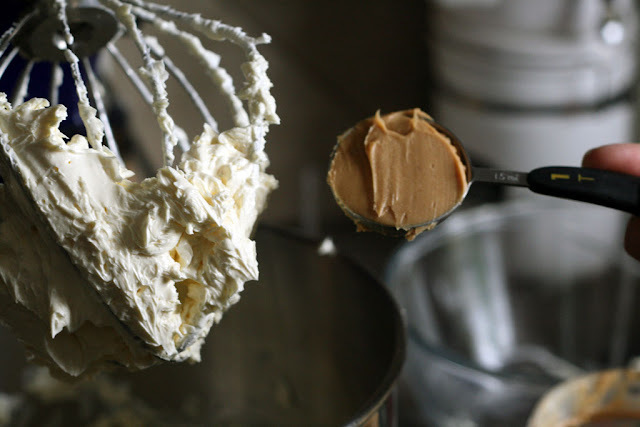 Add in the peanut butter and continue to whisk. Now, the fun part! 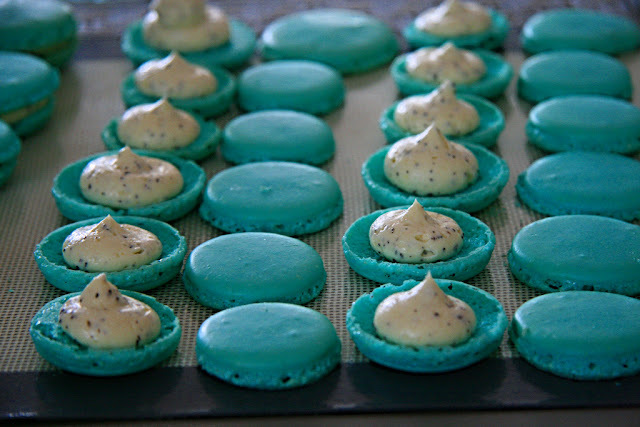 First match the macaron shells and then line up all your macaron shells. I typically place each pair side by side with one of the shells facing up ready to have buttercream piped on top and the other matching shell face down. Then, once the peanut butter buttercream is transferred to a piping bag, pipe a small mount of buttercream onto each half shell. To see more videos of this process take a look at my instagram. 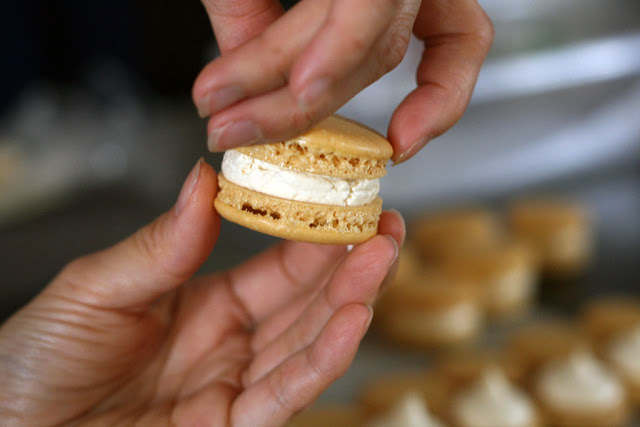 To assemble each macaron, gently push down until the buttercream reaches the edge of the shell and then twist to the right. Enjoy your macarons! 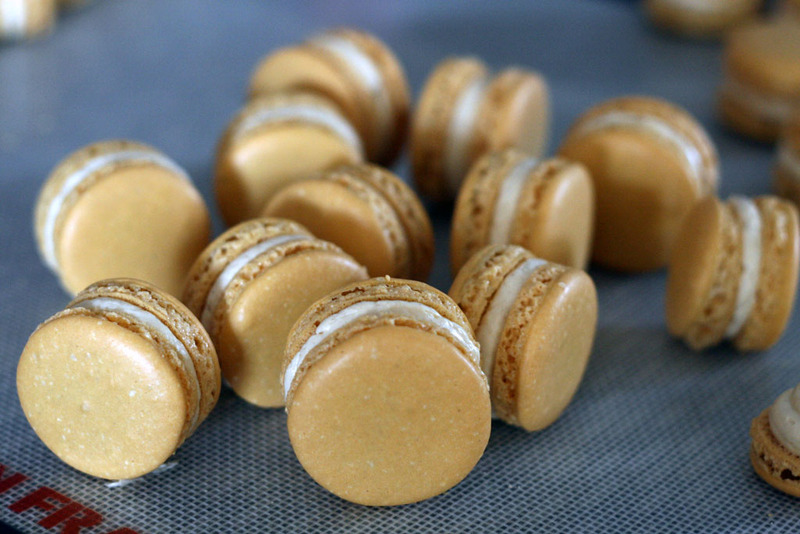 Macarons are best enjoyed after they have sat in the fridge (in an airtight container) for at least two days. Let them come to room temperature before you eat them. Have them with coffee, tea or on their own. 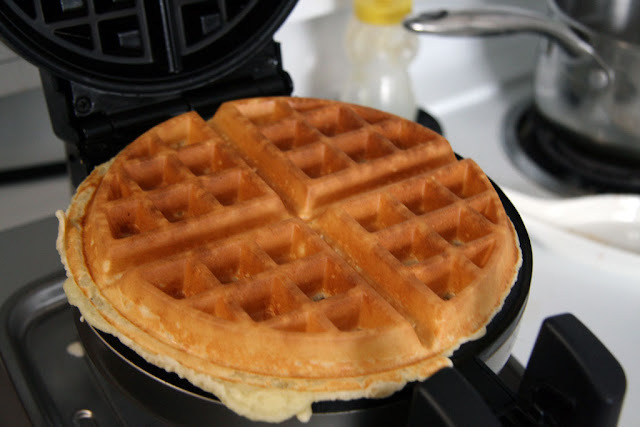 They also freeze super well too; though yours will likely not last that long! 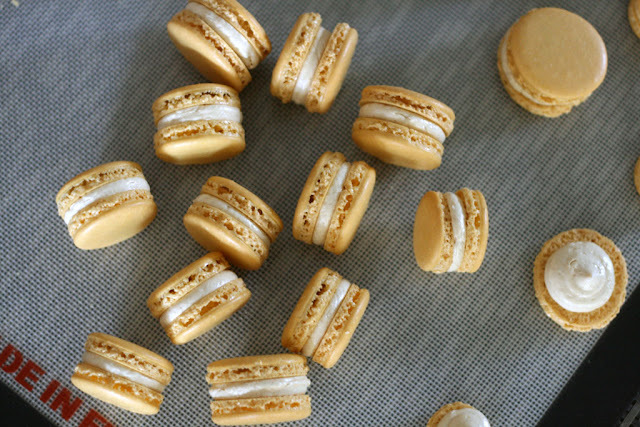 Have an awesome Macaron Day! I would love for you to leave a comment on this post! I have changed the settings so you can comment as a guest! Just click on "name", more boxes with appear. On the very bottom left corner there is a checkbox that says "I'd rather post as a guest". Then, you can comment without having to use the Disqus part!